I am so very pleased to welcome Jeanie Sulfidge from A House Called Home to Minds in Bloom. 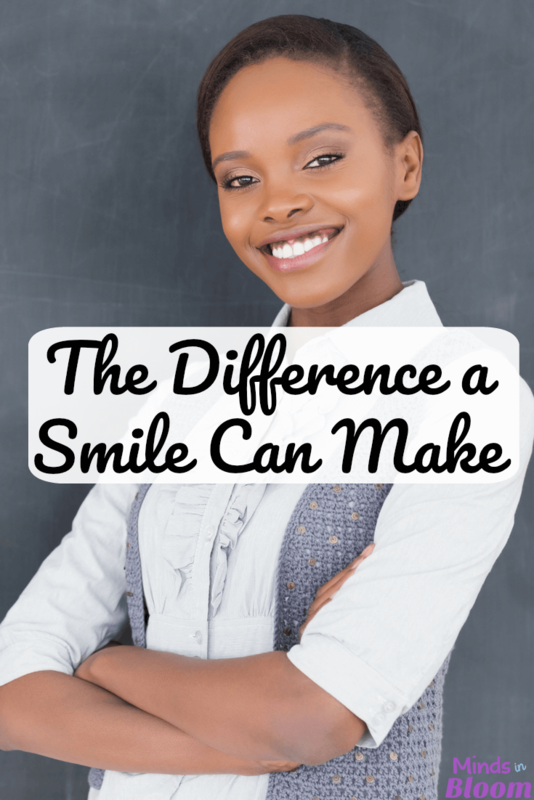 Her post is a truly heart-warming reminder on what a difference teachers can make in the lives of students whose own lives are more challenging than most of us can imagine. The short truth is: nobody. She has raised herself for the past five, seven, maybe ten years. And to be honest, she’s done a pretty good job. She has found ways to protect herself, to provide for her needs (both physically and emotionally), and to make it through another day. You wouldn’t want her life. Be honest. What she does is hard. What she does is brutal. She doesn’t seem to feel remorse. Does she care about anybody but herself? No, she doesn’t know how. She can’t give what she’s never received. Unfortunately, her story is not as rare as it should be. Many children go to school each day undernourished, tired, hurting, or scared. So what can we, as educators, do? While we might not be able to turn the tide for these kids, we could start by making today a little easier. What would that look like in a classroom? I’m not a professional in this area. I can only share what I know based on what I’ve lived. I was not one of those kids, but I’m raising three of them. They aren’t those kids anymore, either, but they used to be. Their insight has made me a better teacher; actually, it’s made me a better person. What is it like for a hungry student to sit through a math lesson? Do fractions really matter if I haven’t eaten since lunch yesterday? Will I be able to answer comprehension questions in social studies if all I can think about is what happened at home last night? Do I really care if the other students like me if I know I’ll only be at this school temporarily, until I get pulled from one foster home and put in another? 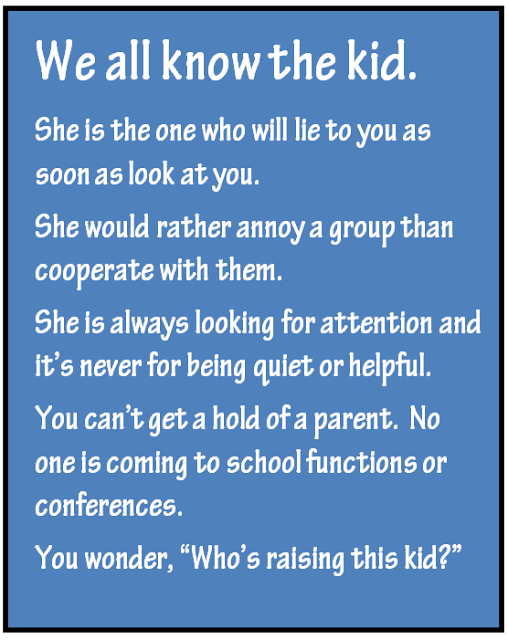 This is the reality for some of our kiddos. So back to our question, can we make today better for them, and what would that look like in our classrooms? Start small. Start with a smile. That’s it. Decide to smile at that hard-to-like student when really all you want to do is glare. It’s easy to love the lovable ones, but loving the hard-to-love ones will change the world, even if it’s just their little world. Smile? That’s it? Well, there’s more to it then just that, but it’s a start. Sometimes the biggest hurdle is the one that gets you past the hard feelings. The feelings that we would never admit to because it makes us look harsh and even a little mean. The feelings that surprise us because we never thought we would be able to dislike a child. It’s called grace. Give that child a little grace by flashing them a big, sincere smile. Ok, so maybe it won’t be sincere at first. It might be all you can do to use a soft voice and curl up the edges of your mouth (over gritted teeth, no less!). But, it’s a start. Decide to give that student of yours a little grace. Remember, grace is never deserved. It is a gift. Starting tomorrow, give your hard-to-love student the gift of grace through a smile. Never underestimate the power of a smile, especially to a kiddo stuck in a really hard place. Yours may be the only one they see all day. 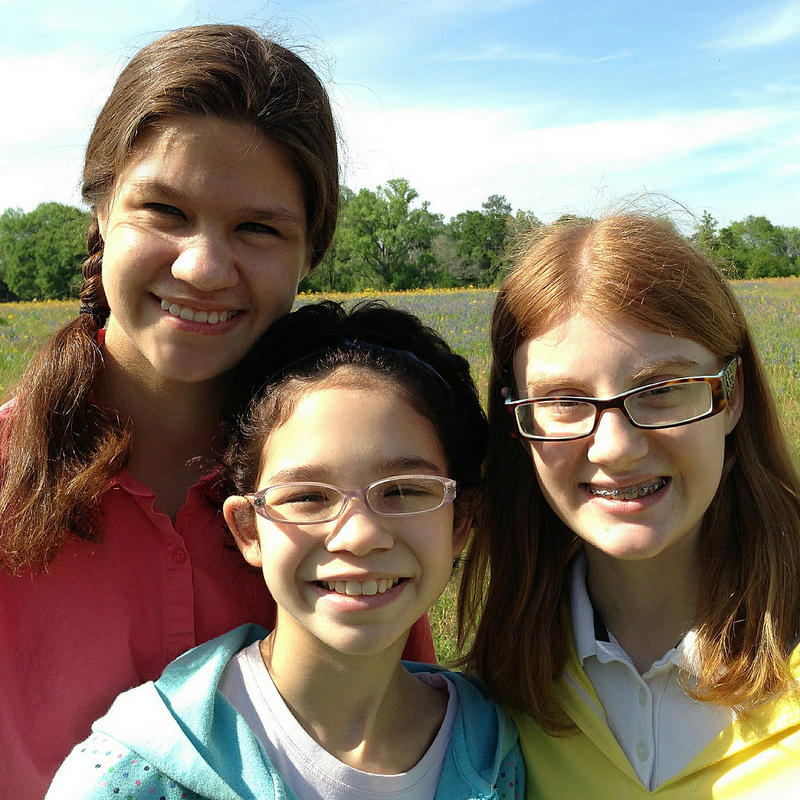 My three girls came from three different backgrounds, three different sets of parents, and three different schools. We now make up one family. Each one can remember a teacher who impacted their lives with grace. They know how tough they were on their teachers, how challenging it must have been to deal with some of their behavior, but what do they remember most? They remember the teacher who smiled at them anyway. 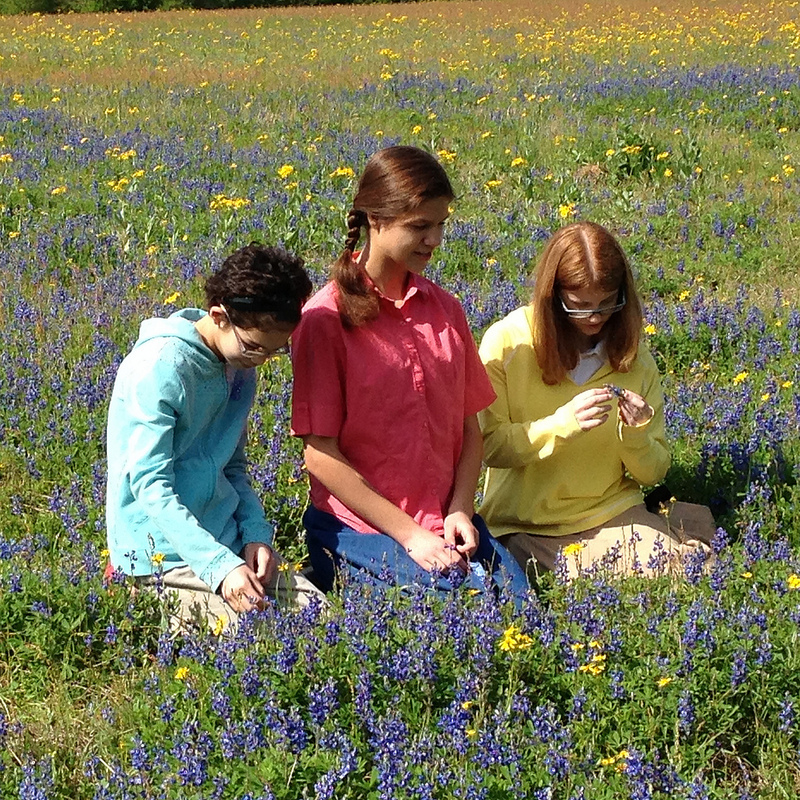 Do you have a student who could use an extra helping of grace? It might be difficult, but I don’t think it will be too long before you find your smile less phony and more sincere. Give it a try. Who knows? Maybe one day that smile will be returned! A mom to three and a middle school science teacher, I am a passionate advocate for all things adoption and all things educational. After working with students stuck in hard places, I saw a need I could fill. In 2006 my oldest daughter, Hannah, joined me on this amazing journey we call life. In 2008 we welcomed Ashley, and in 2011 Amy rounded out our family of four. We laugh together, cry together, and most importantly, share ordinary, everyday moments together. We wouldn’t have it any other way. Please join us on our adventure at A House Called Home. I also have a Teachers Pay Teachers Store. It is easy to work with easy kids. Thanks, Jennie, for reminding us to smile at those that need it most! I needed to read this today after a crazy day with a hard to love kid…tomorrow is a new day, a new start…and she'll get a smile from me! Thank you so much for this reminder! I have 18 school days left with a kiddo who has become so hard to deal with. I needed the reminder that its not easy being in her shoes either! I am going to try to give her my biggest smile tomorrow, and look for the good things, rather than focusing on the (always present) bad things. Thank you So much…This was very well said. I was that kid in school and as an adult have worked with that kid in various settings-in schools and in crisis centers for kids. You are So right the beginning of being able to make an impact with that kid is building that relationship. It takes more to build that trust with them and a smile instead of a difficult expectation is more along that line. Life is full of difficult expectations already for them. Thanks again- you said it so much more eloquently. What a touching story and yes, we all need to be reminded, it just takes a smile. 🙂 The other QR Queen adopted a precious child this past summer that was in an awful situation and is loving every minute of it. It is not easy, but so rewarding! I have also been doing a lot of volunteer services with my older son to help the needy and it just makes my heart swell to give my time. I have always given money and items, but it never made me feel the way giving time does. 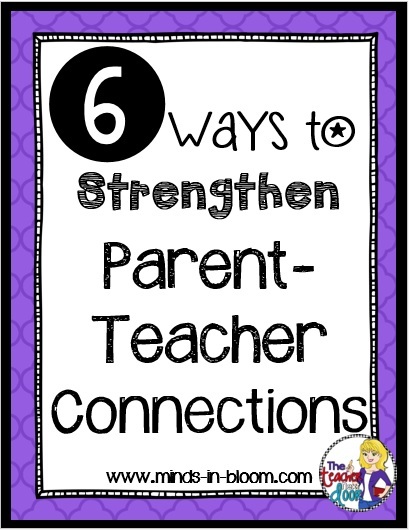 As teachers, we may get frustrated, but a little extra patience can make someone's life a little sweeter.